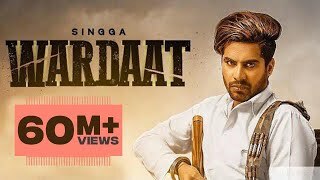 Wardaat Lyrics: The Punjabi song is sung composed and written by Singga. It has music produced by Desi Crew while its music video is directed by Gagan (Badnaam Group). The Punjabi track "Wardat" is released under the label of Patiala Shahi Records. Ni saadi taa war... hmm hmm..